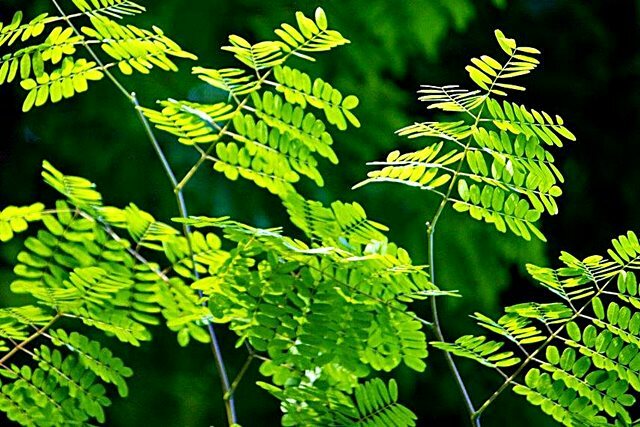 The Leopard tree (Luiperdboom, Caesalpinia ferrea) originates from Brazil. It is one of the most attractive trees and is so named because of its beautifully marked bark. The Leopard tree is a large fast growing, deciduous tree hailing from South America, reaches a height of 20m with a spread of 8m. It is a hardy tree and likes hot summers. 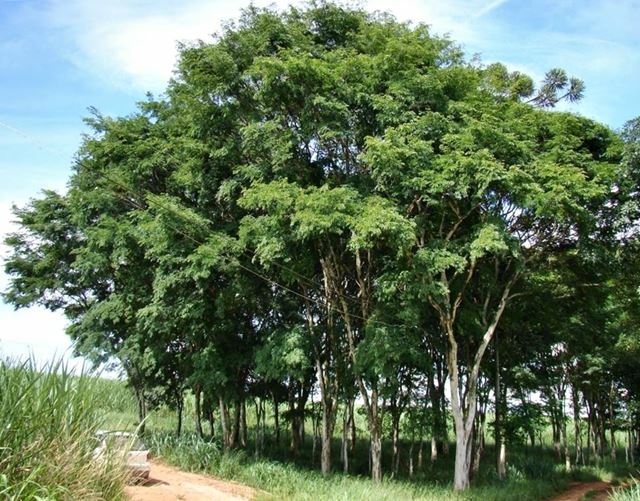 The Luiperdboom has fine acacia-like green leaves, large green seed pods in autumn. A deciduous tree with bright yellow flowers held on the end of the stem. This tree is ideal for smaller gardens, only in moderate climates and prefers full sun. Its wood is often used for making fingerboards for electric basses and guitars. It has a similar feel and similar tonal attributes to rosewood, but is harder and has a slightly lighter colour.